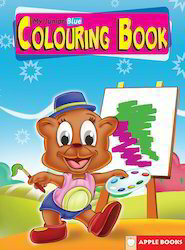 Providing you the best range of my junior coloring - purple books, my junior coloring - orange books, my junior coloring blue books and my junior coloring green with effective & timely delivery. My Junior Coloring - Purple book offered is available in 16 page softbound finish and is designed to introduce a variety of color concepts to children. As simple introduction to colors for preschoolers, these books are best tools for engaging child's interest with the worksheet assisting them in understanding coloring concept & recognition of colors. The sheets also help kids develop eye-hand coordination while acting as a great activity for children who enjoy coloring pages. The interesting layout of the pages also offers a unique coloring opportunity to children. My Junior Coloring - Orange book offered comprise coloring books in 16 page softbound finish that is designed to enhance the coloring and shading skills of children through use of child friendly illustrations. The book is designed for kindergarten activities that are fun and instructional to go through as well as are fun to work with. Providing a strong foundation for kid's early learning needs, these books feature pages that are perfectly designed for youngsters who are just getting started in their initial learning stage. 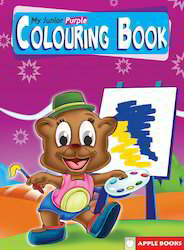 My Junior Coloring Blue book offered comes in 16 page softbound finish and helps in making children learn a variety of color concepts. The books are also suitable to be used for fun time activity and come with interactive learning approach that introduces the concept of colors to preschoolers. Coming with activity based worksheet, these books also help in developing eye-hand coordination and color concepts and find extensive use in home or in the classroom based teaching. With the valuable assistance of skilled team of professionals, we are offering My Junior Coloring Green. The offered My Junior Coloring books are made up at vendor’s end using top quality paper & best ink is used for printing purpose. Along with that, these My Junior Coloring books are checked by quality experts in order to deliver a defect free range from our end. 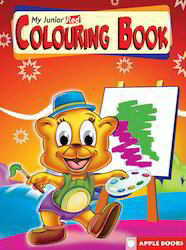 We provide these My Junior Coloring books in customized printing & sizes according to the requirements of customers. 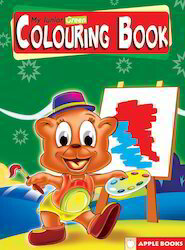 Looking for My Junior Colouring Books ?